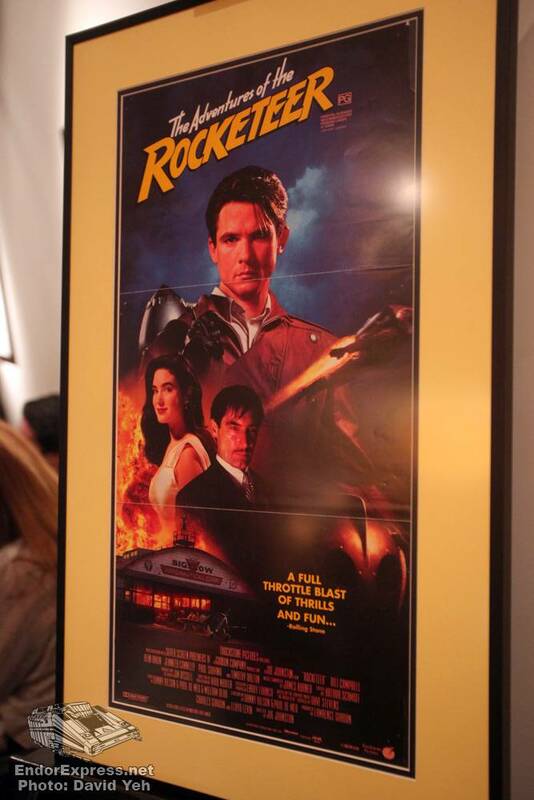 Twenty years ago, Walt Disney Pictures released a film that was intended to be a great new franchise. 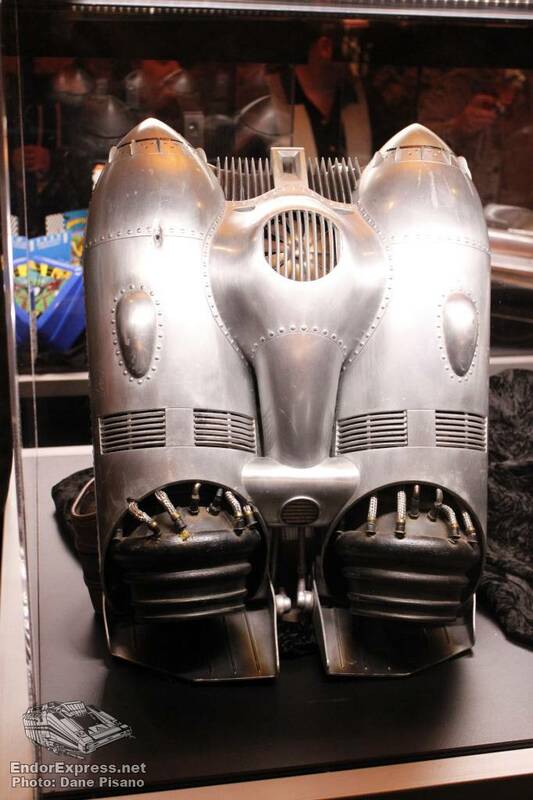 Instead, they got a stand-alone film that has become a cult classic and still pleases audiences today. 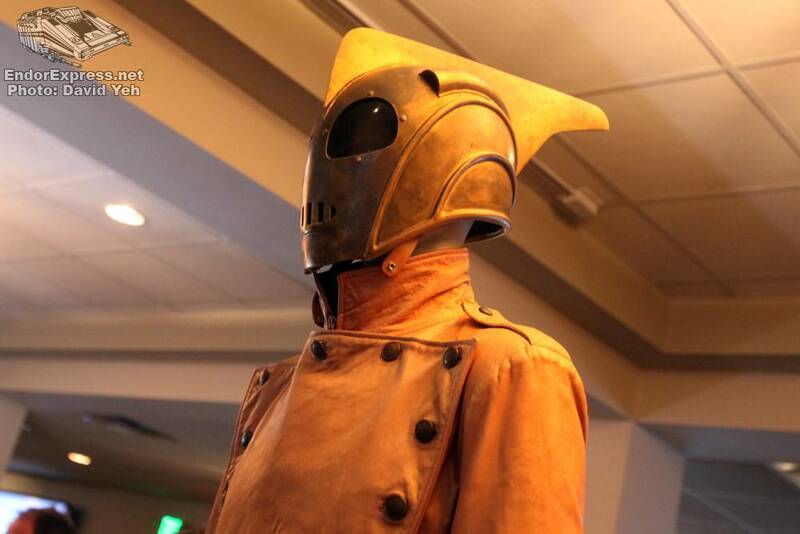 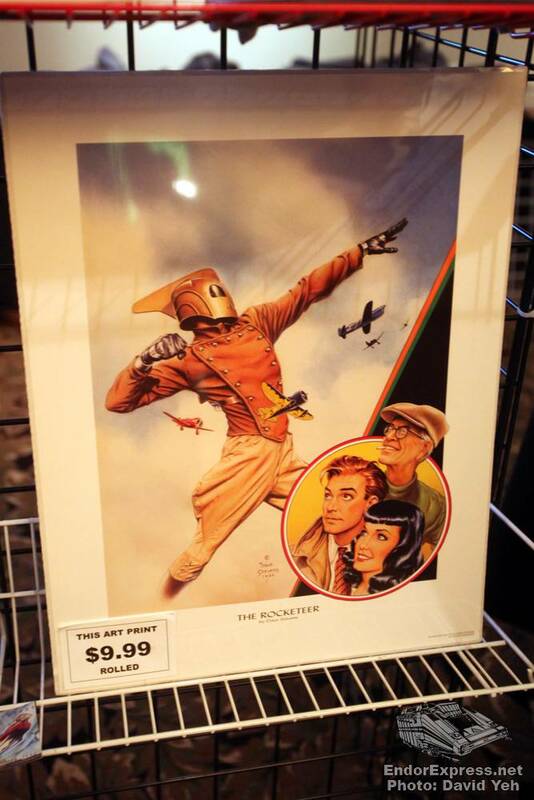 Based on the graphic novel created by Dave Stevens, THE ROCKETEER, played well with critics but in an age before the internet, word of mouth was quickly terminated after a disappointing debut weekend. 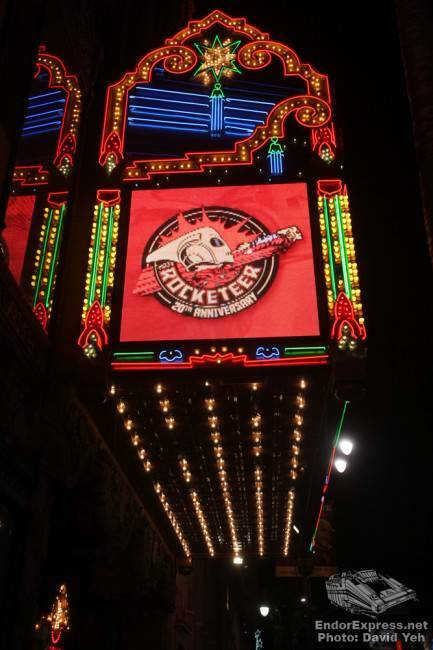 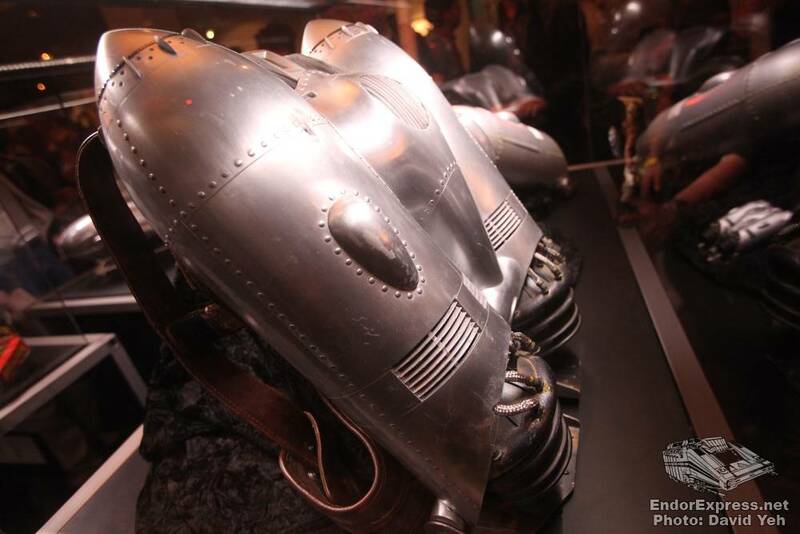 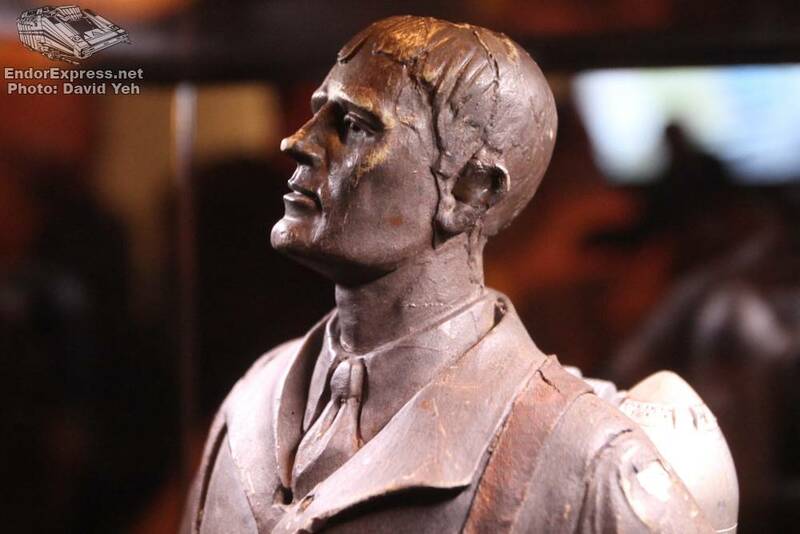 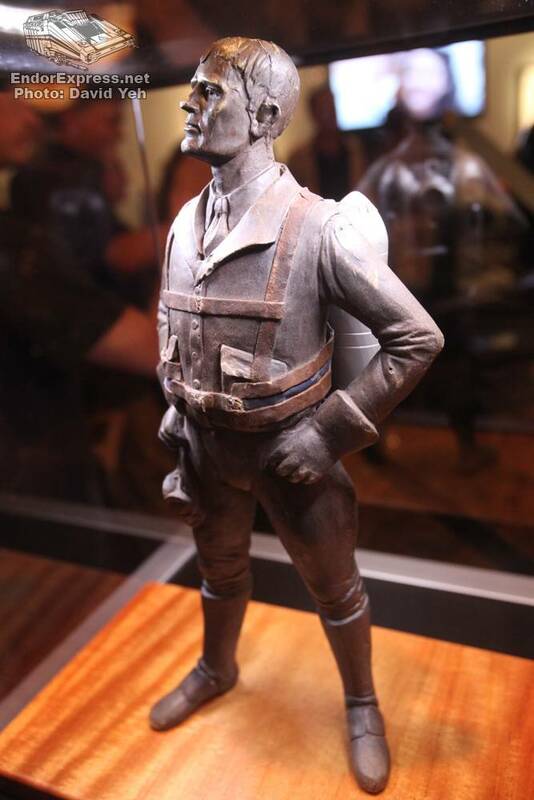 Twenty years after its release to the day, D23 and Creature Features put on a night for the true Rocketeer fan at the El Capitan Theater in Hollywood, which also celebrates its 20th anniversary of its refurbishment. 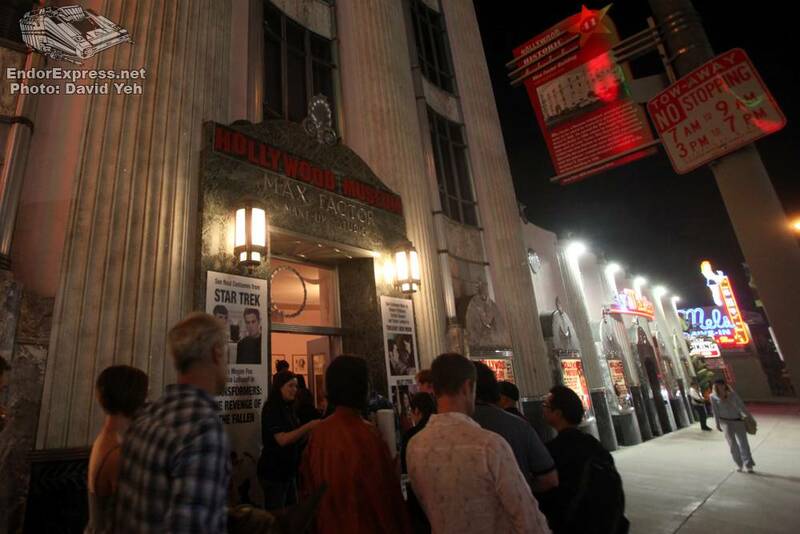 The evening featured an all-new print of the film followed by a panel hosted by Kevin Smith. 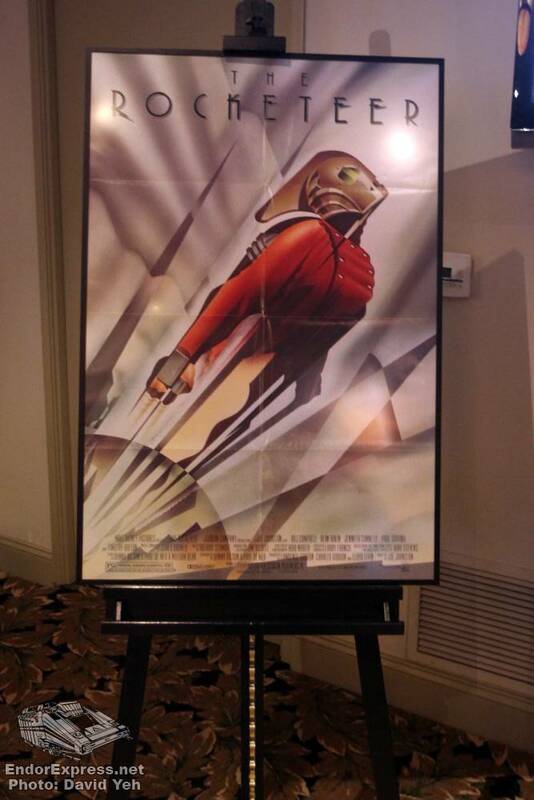 All scheduled talent were present including director Joe Johnston, actor Bill Campbell, Academy Award winning Make-Up artist Rick Baker, co-screenwriters Danny Bilson and Paul De Meo, and illustrator William Stout. 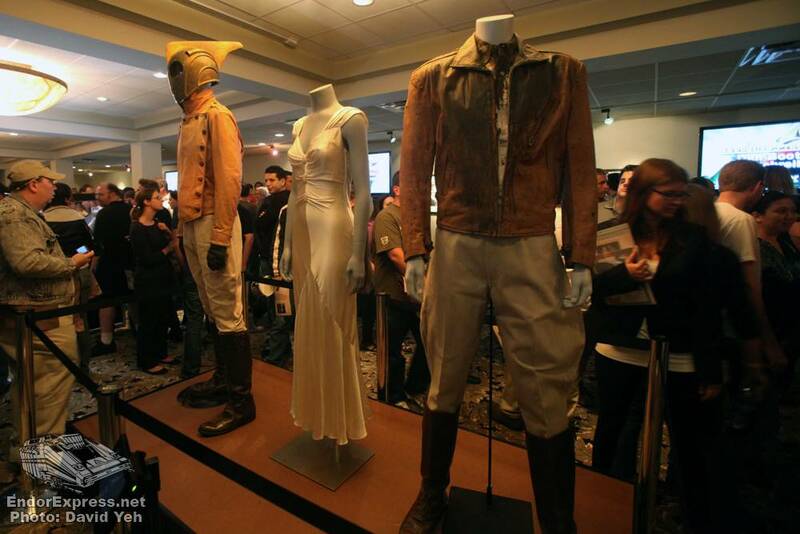 Not much was revealed during the panel but there was much fan-gushing and praising from the moderator. 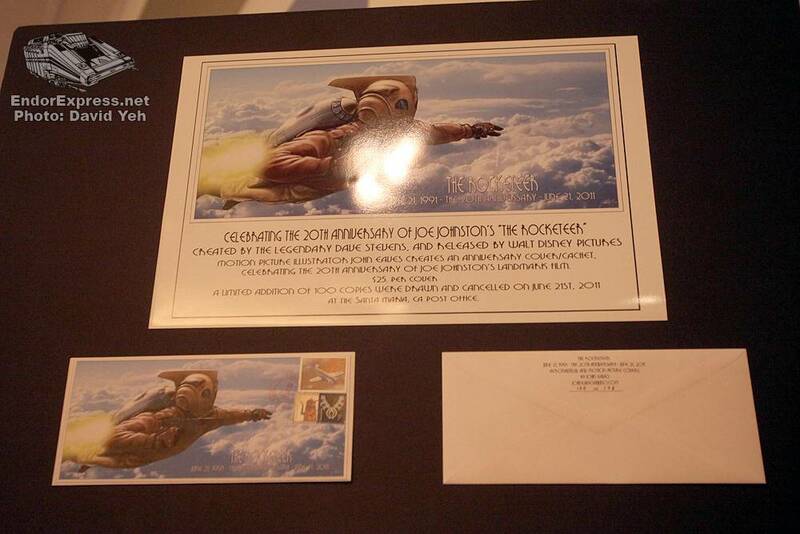 Only one question was granted asking for some behind-the-scenes insight of a possible sequel and what transpired. 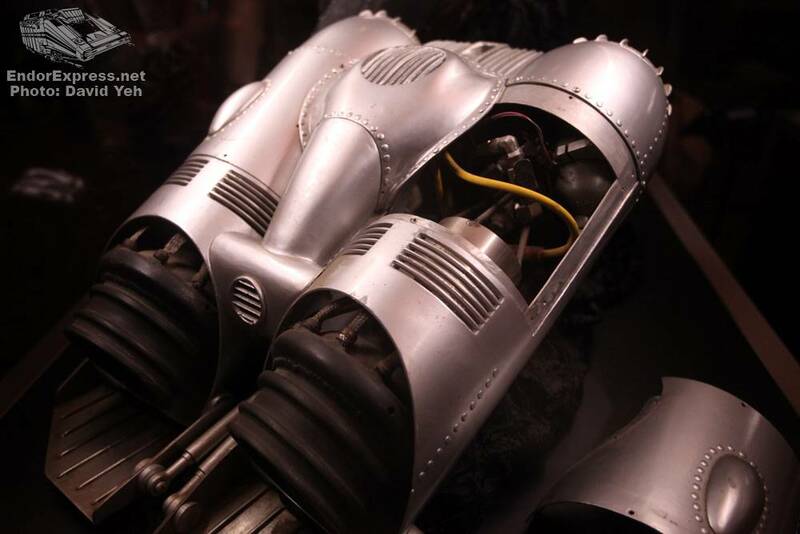 The short answer is that the film didn’t do well enough to garner a sequel, even though there was much talk of one before the film was released. 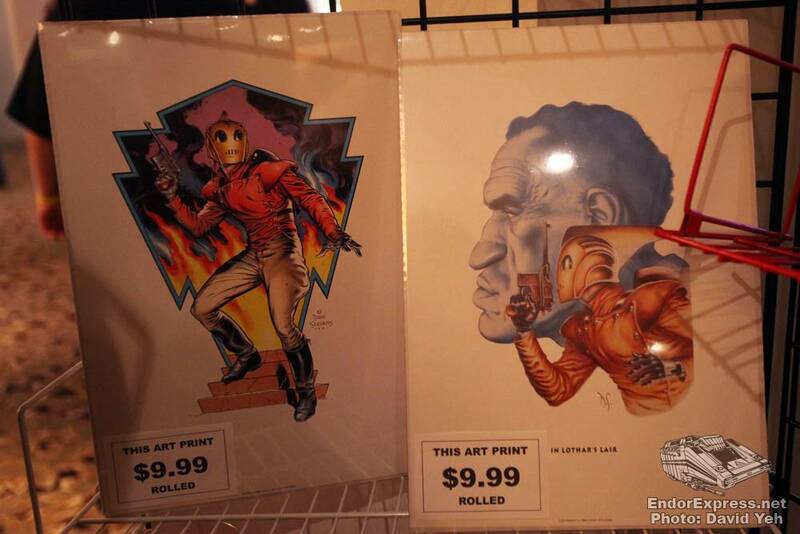 The panel concluded and a new trailer of Captain America was shown to a rowdy applause. 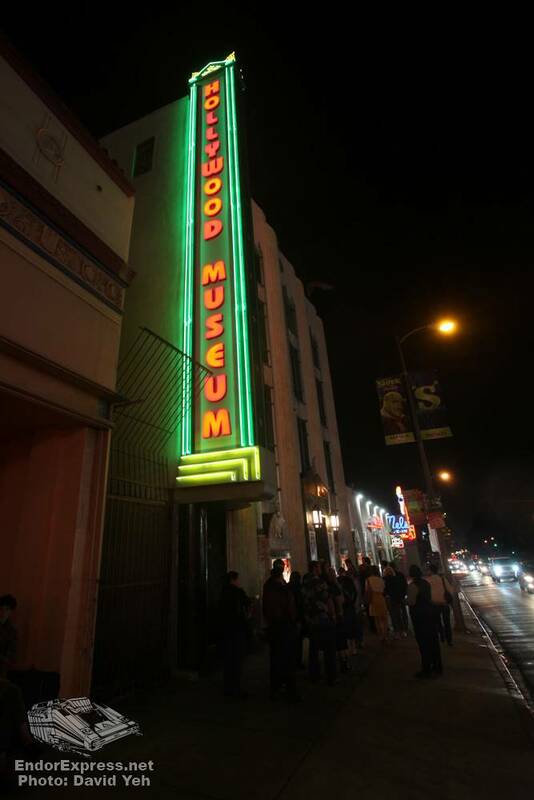 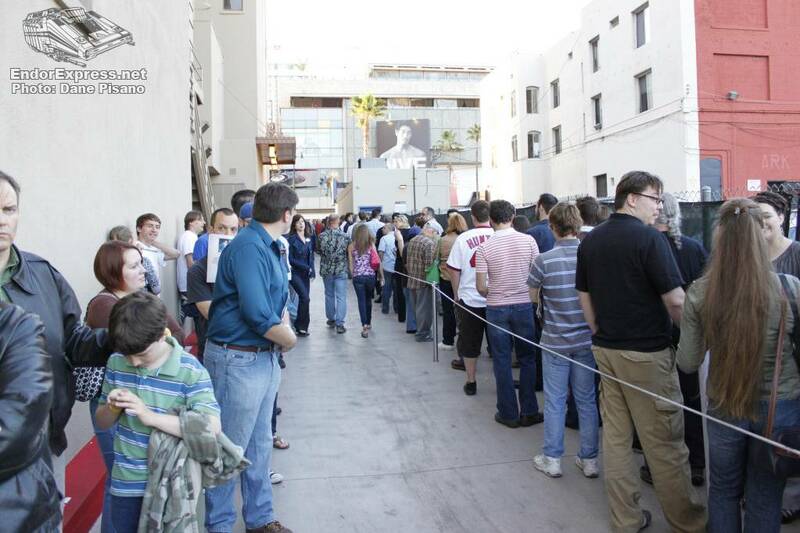 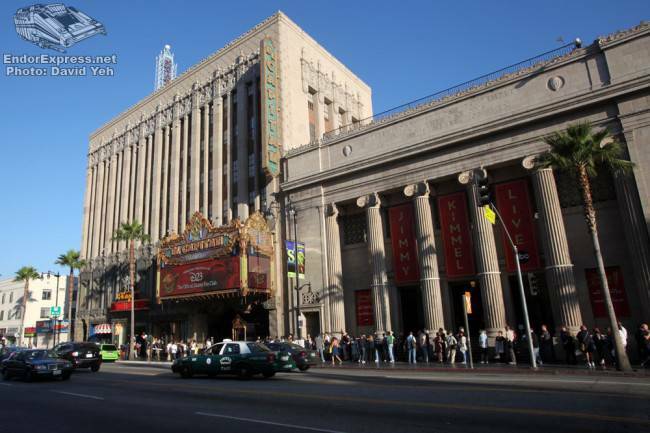 Guests were then ushered half a block down the street to the Hollywood Museum located in the historic Max Factor building to see a special presentation of props and costumes from the film, curated by the Walt Disney Archives. 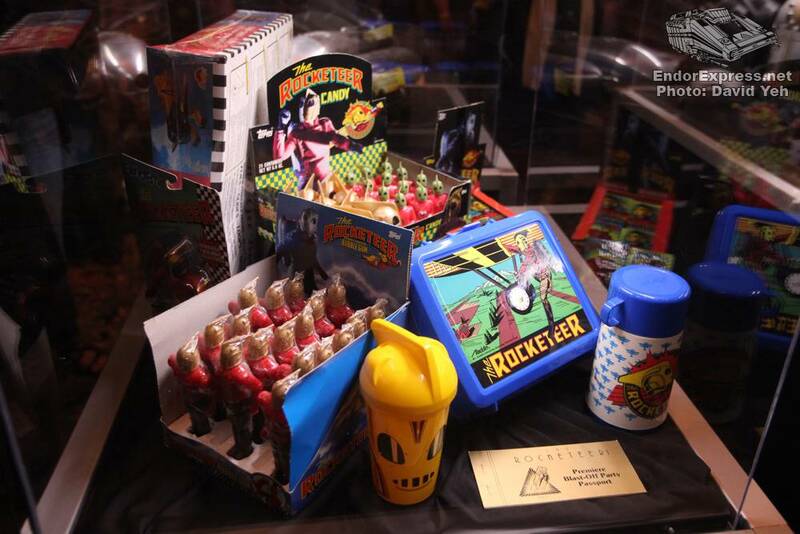 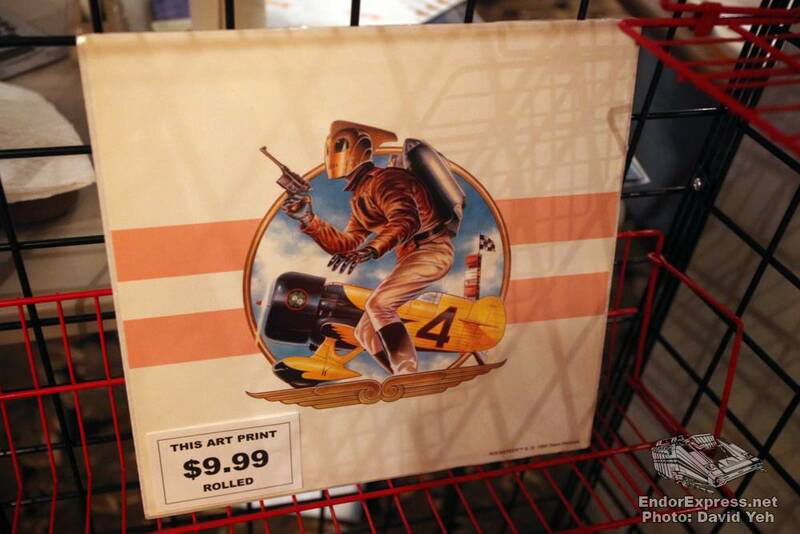 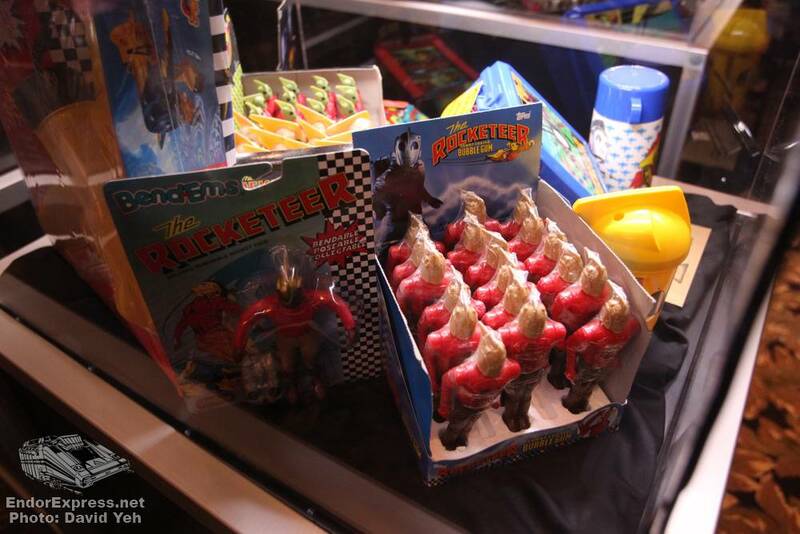 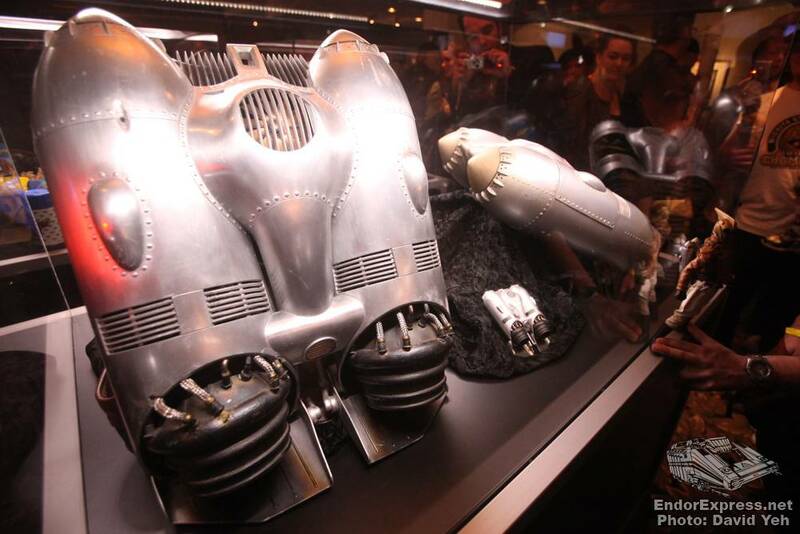 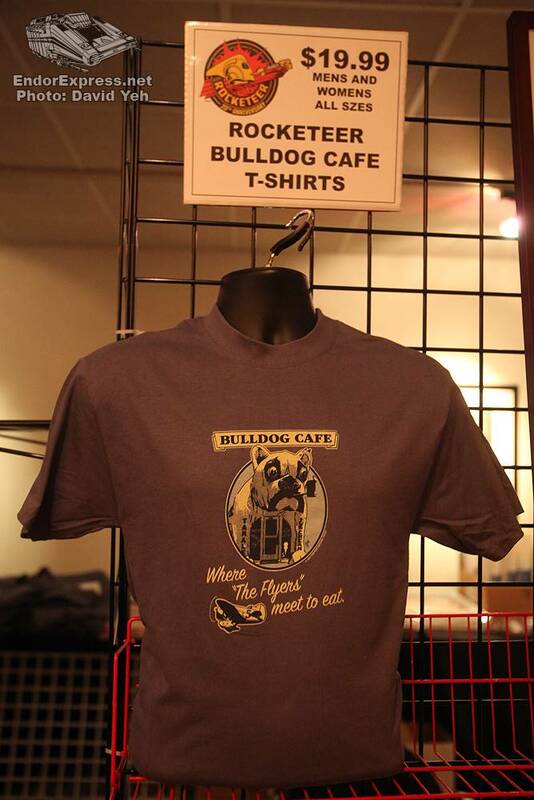 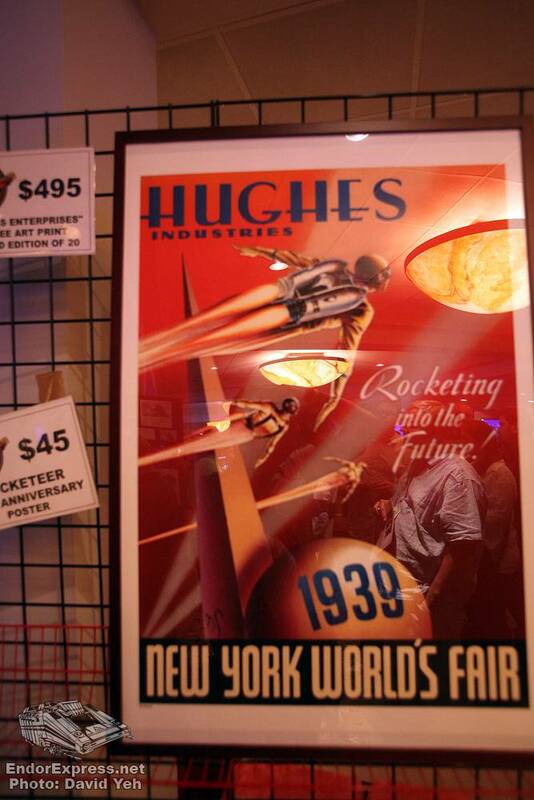 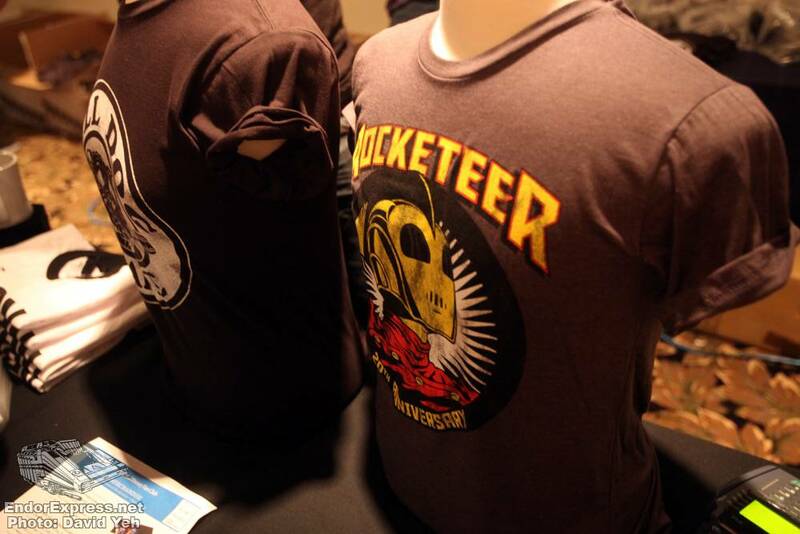 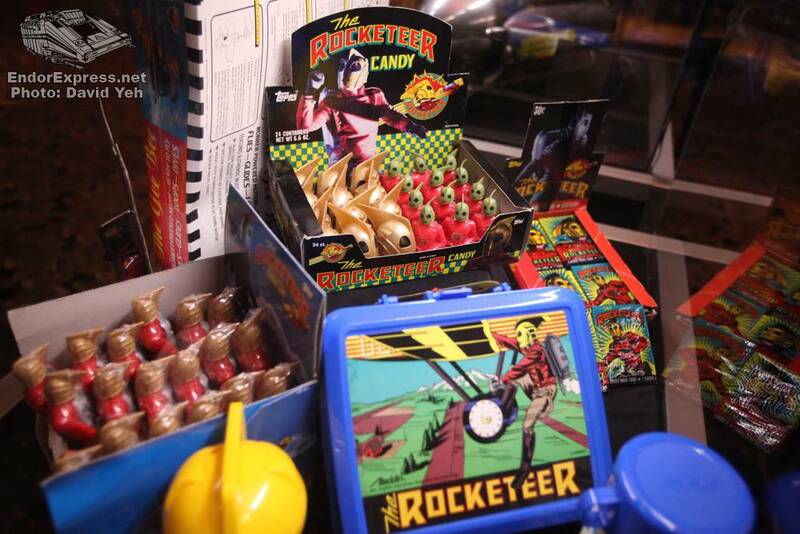 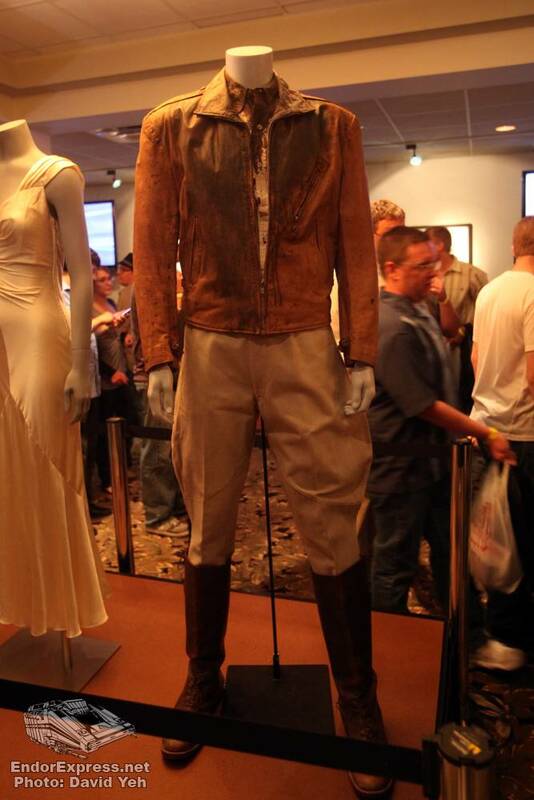 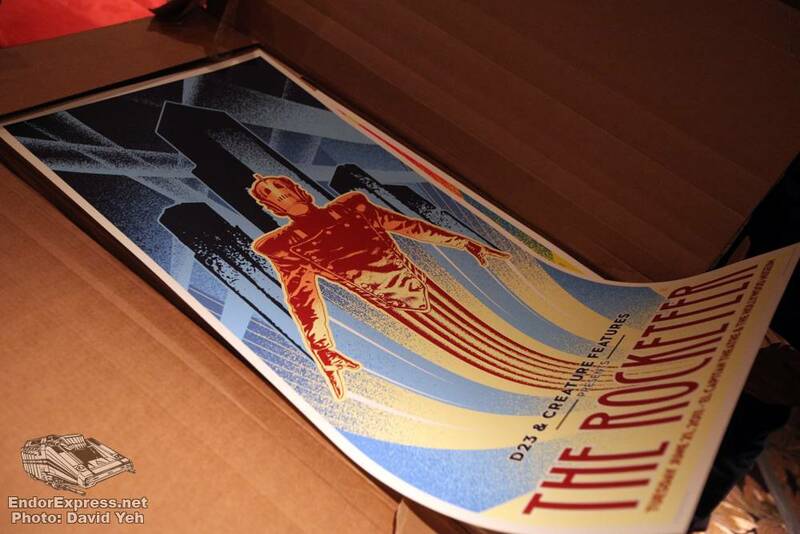 But the real reason we were all there is to pick up some Rocketeer merchandise, as pricey as it was. 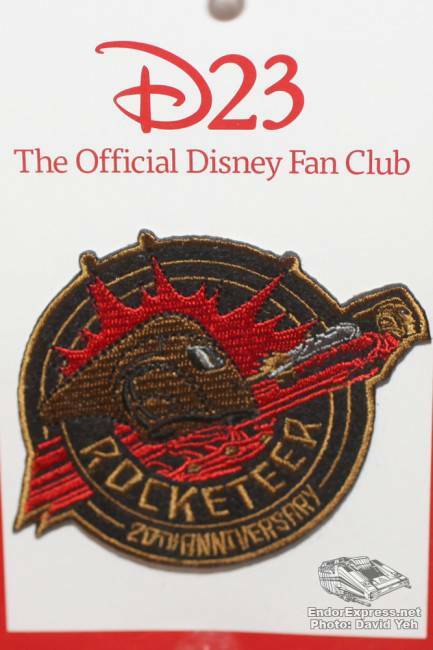 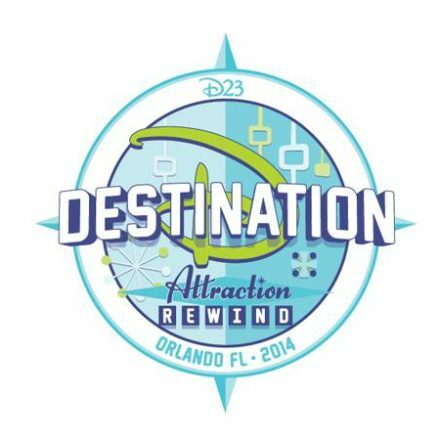 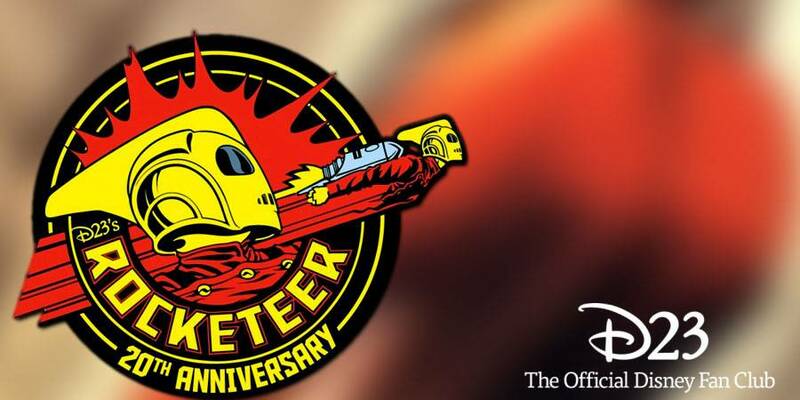 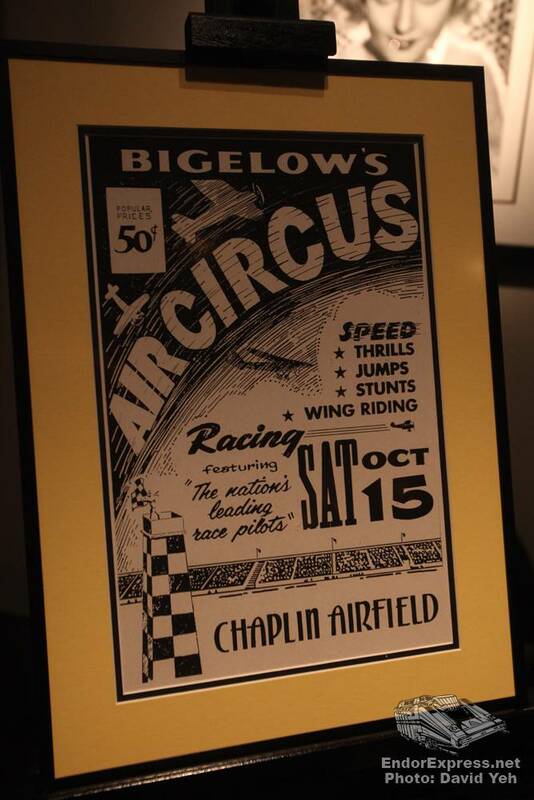 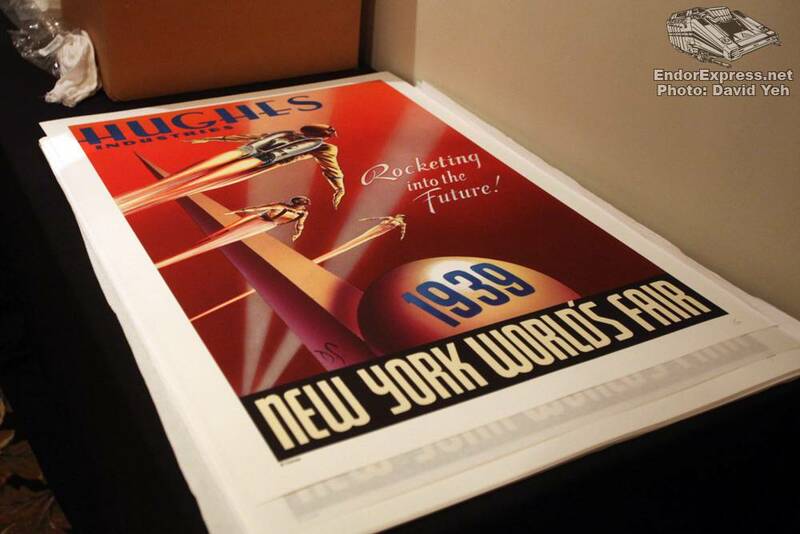 All event guests were also given a commemorative program and a Rocketeer 20th Anniversary Badge. 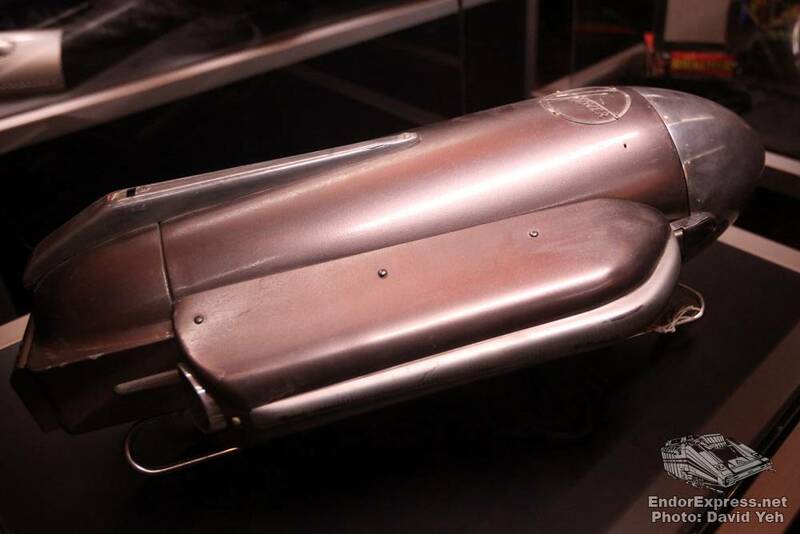 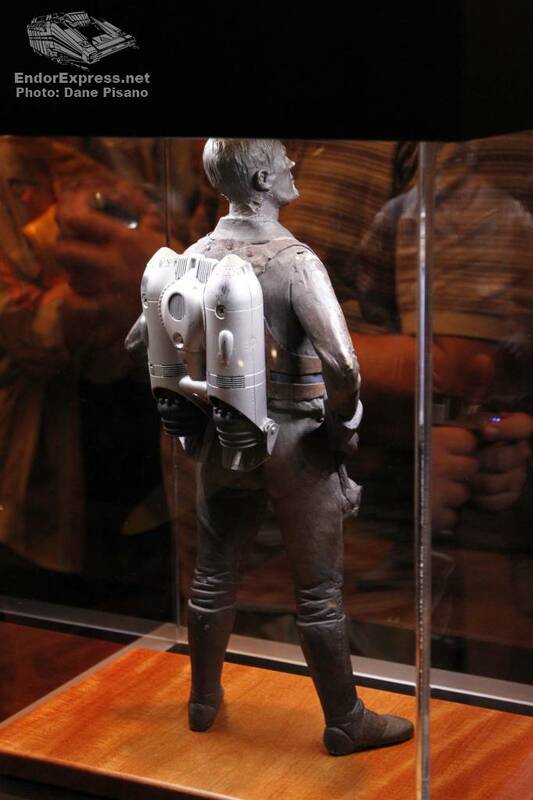 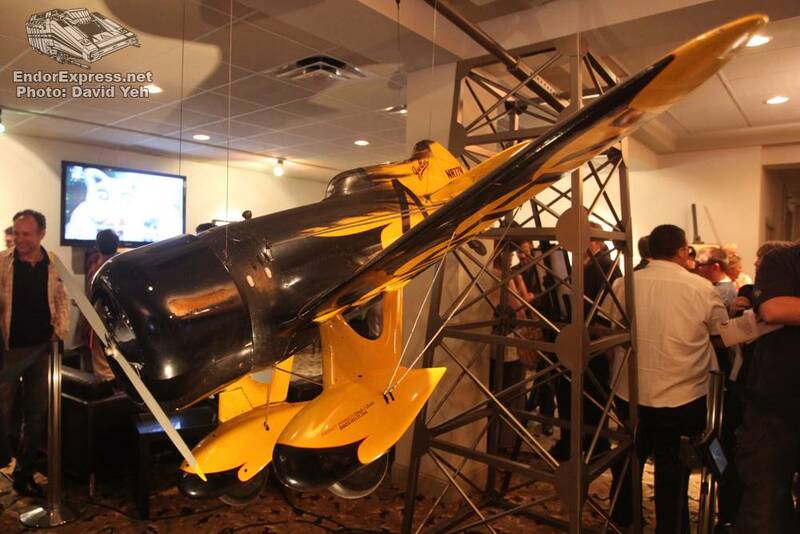 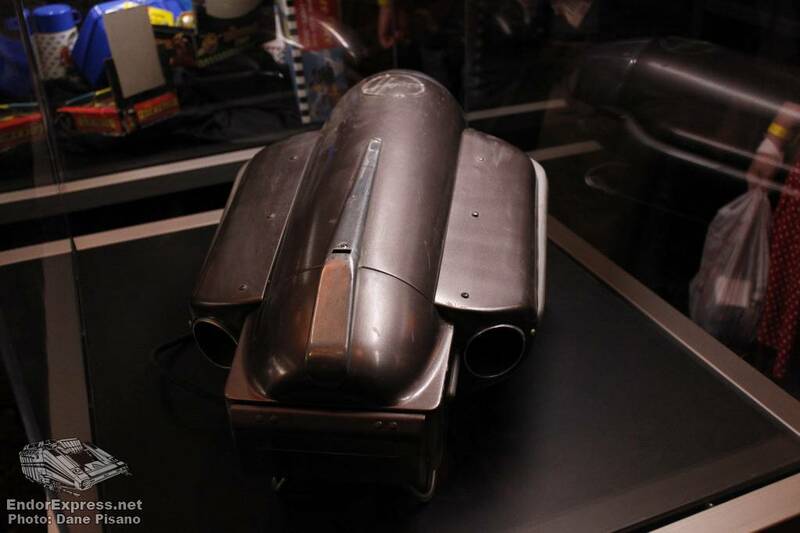 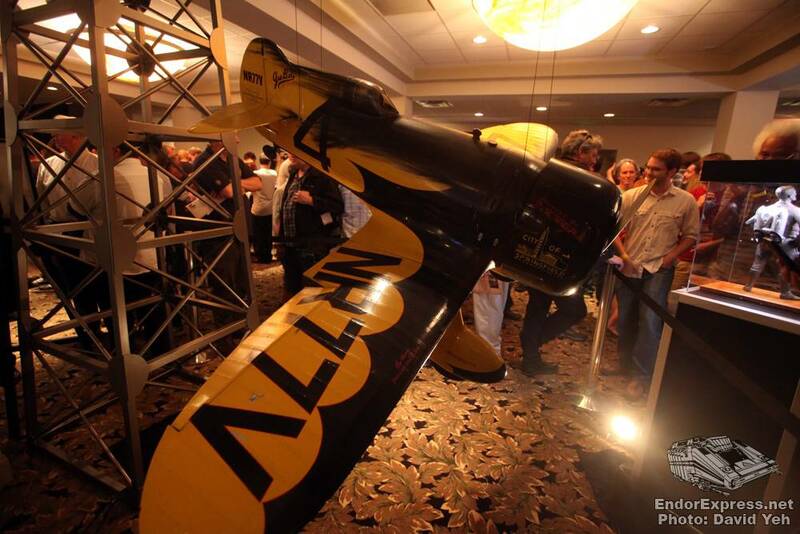 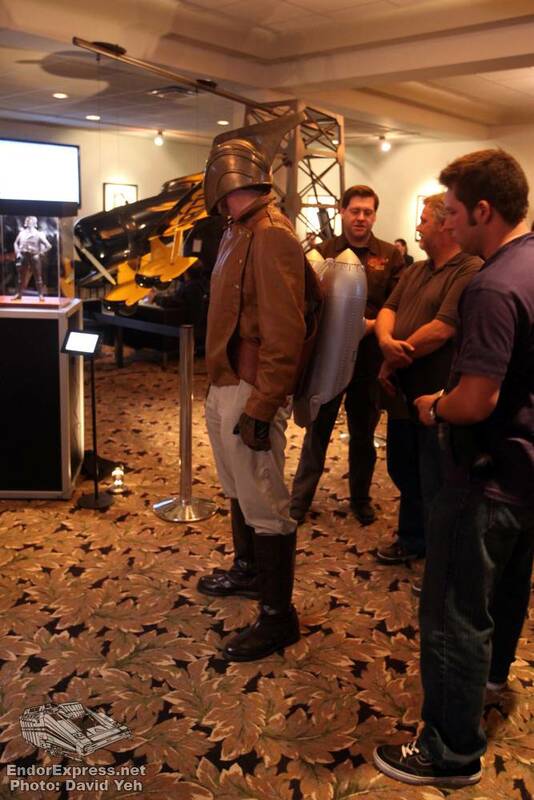 Overall, it was a perfect evening for Rocketeer geeks although a bit unorganized. 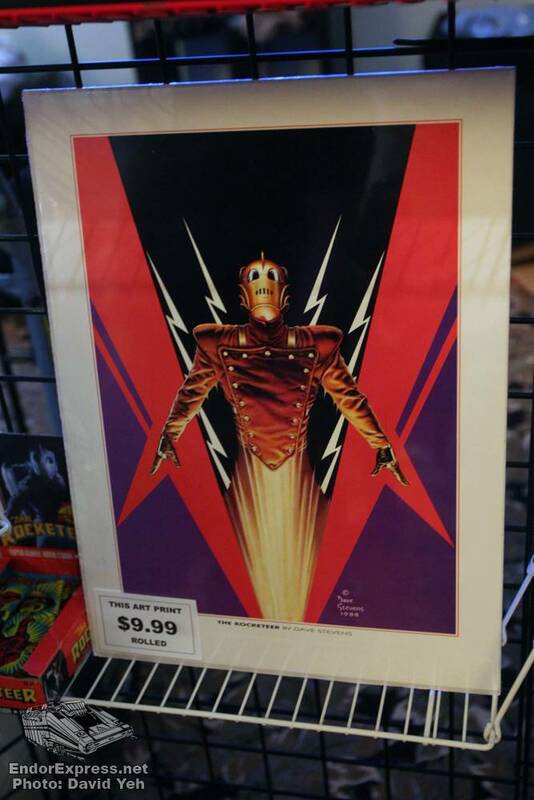 With a late start, a super-short panel, and a confusing two location merchandise line-up, it made the $50 admission harder to swallow. 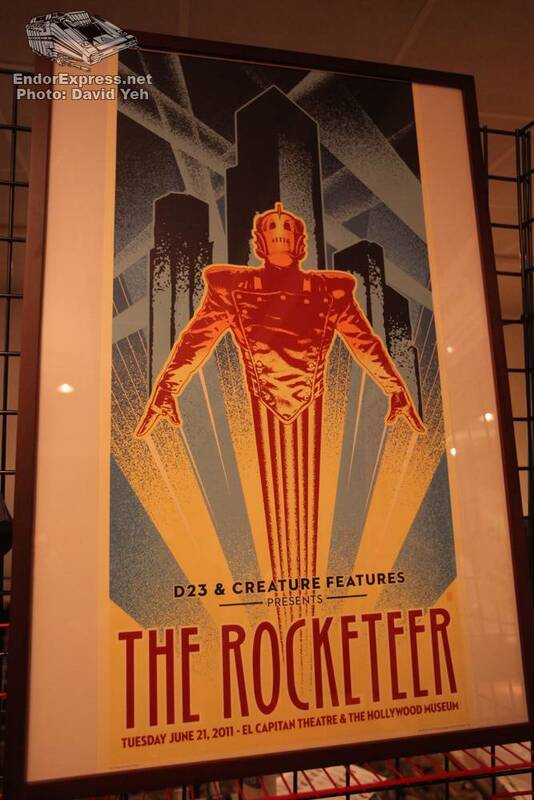 Or perhaps it’s the $495 giclee print I bought. 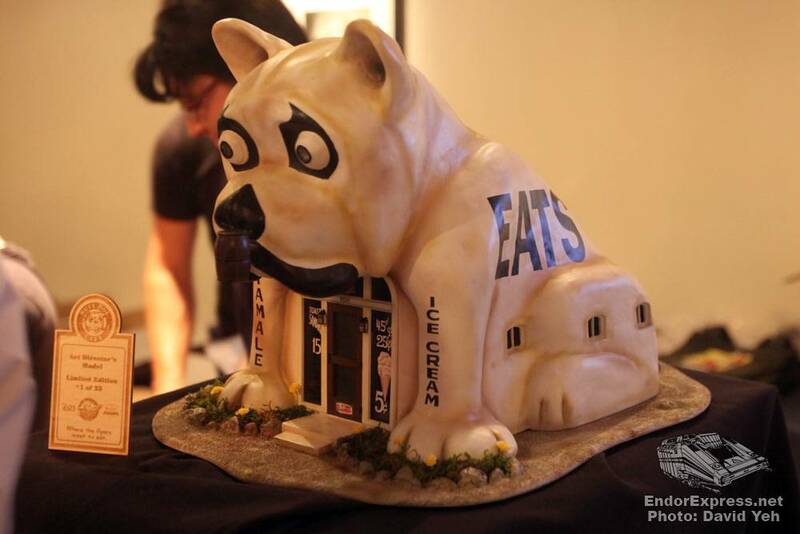 Editor’s Note: Photography was not allowed inside the El Capitan Theater during the screening and panel. 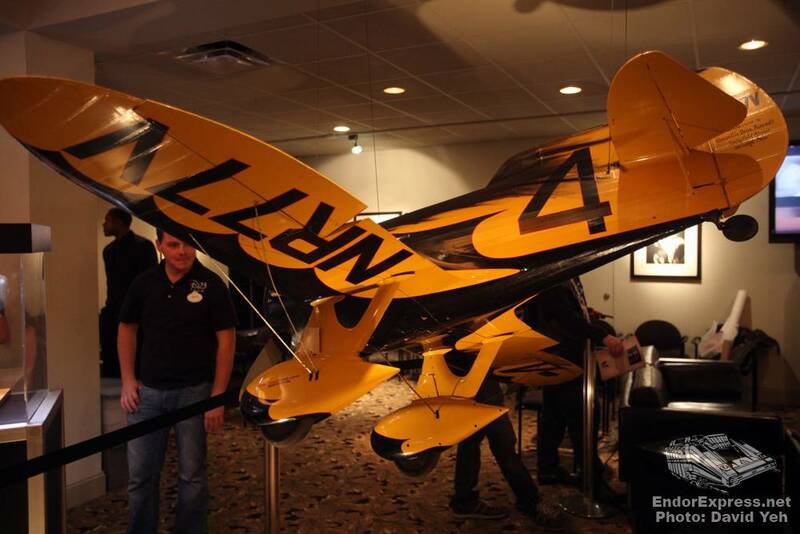 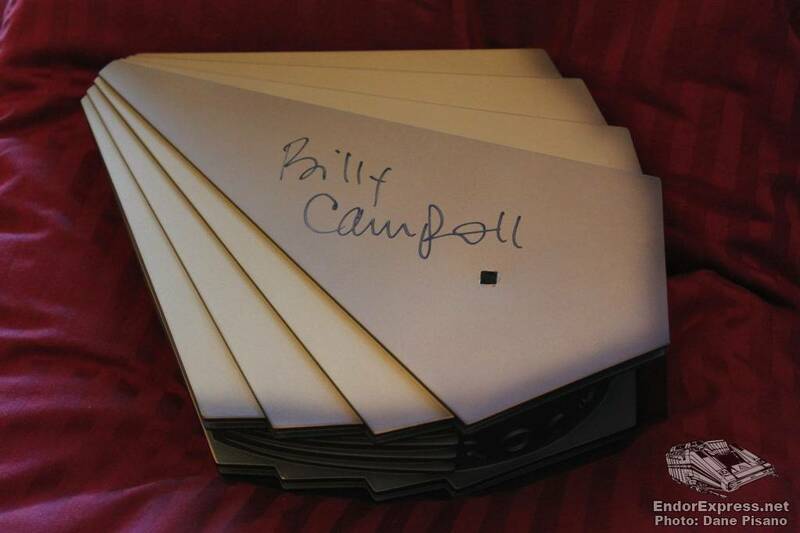 Special thanks to Dane Pisano for donating his photos!